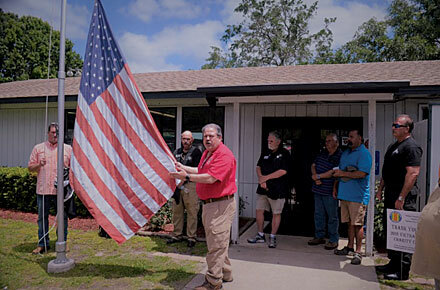 Jacksonville, Florida, Chapter 1046 raised nearly $40,000 during its third Vietnam Veterans Charity Clay Shoot. The May 3 event, chaired by Chapter 1046 Board member Bob Johnson, is the chapter’s biggest fundraiser. 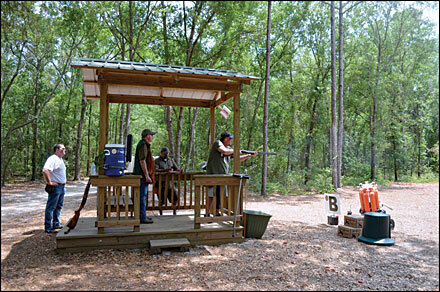 One hundred shooters competed in four-person teams. The three highest scoring teams received shot-shell trophies; the three most accurate shooters were awarded walnut clay birds. Afterward, the chapter provided lunch and presented gifts to participants. Proceeds will be used to help homeless veterans and others in need, support the chapter’s participation in the local Veterans Court program, and assist veterans filing VA disability claims. In addition, the chapter maintains a color guard, conducts community outreach, and awards three scholarships annually to college-bound students. It also sponsors the Atlantic Coast Young Marines—a military-style program for at-risk youth, led by veterans, that requires good grades, good conduct, and a strong desire for self-improvement. In 2015 the group raised more than $45,000 to design and install the Vietnam Veterans Memorial at the Jacksonville National Cemetery. Chapter 1046 assembled a large group of sponsors for its clay shoot, including Barber & Associates, Bender & Modlin Fire Sprinklers, Bozard Ford Lincoln, Cecil W. Powell, Environmental Resource Solutions, Jaguar Technologies, Miller Electric, Smith Brothers Plastering, Sun State Nursery & Landscaping, Vallencourt Construction, and Wild West Guns & Gold.